Today was the first ever Lord Mayor’s International Student Friendship Ceremony at UQ! The location could not have been more perfect at the Great Court on the St. Lucia Campus. Many of us were worried because the weather yesterday was rainy and freezing. Thankfully, the morning greeted us with sunshine and hardly a cloud in the sky. The tents set up for rain ended up being the perfect sun shade! The Right Honourable the Lord Mayor Councillor Graham Quirk invited students from The University of Queensland to become a friend of the city of Brisbane, receive a personally signed Friendship Certificate, and have the opportunity to meet him in person. As BISAs, we distributed the Study Brisbane bags, friendship certificates, Study Brisbane USBs, and made sure to assist Brisbane Marketing in any way necessary. 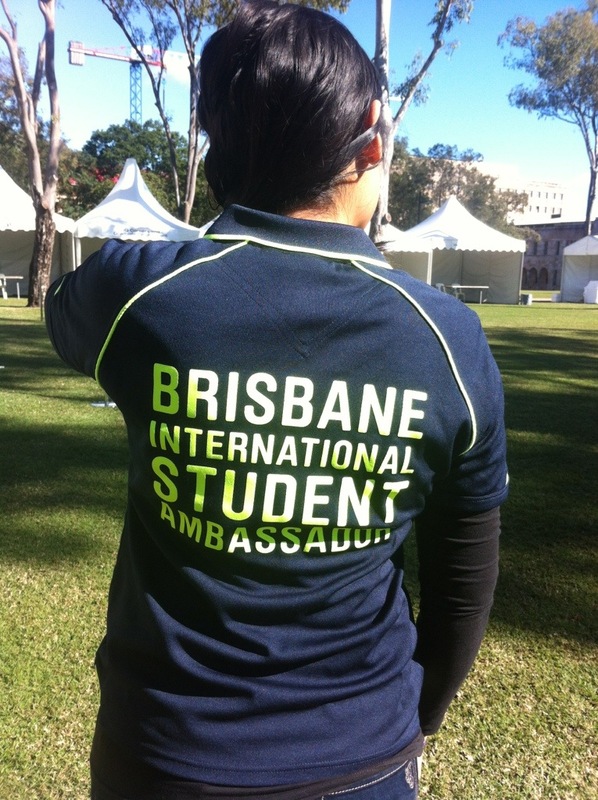 We were over the moon to be wearing our official Brisbane International Student Ambassador polos for the first time. They are navy blue with lime green accents! Not only are they great quality, the fit is incredibly comfortable. Thank you Brisbane Marketing for the stellar polos! I know they were a hit because many of the international students kept asking if the could have one too. Our brand new Brisbane International Student Ambassador Polos! The event started shortly after 11am. Students could pick up their certificates and light refreshments of sausages and various beverages were available from 11:15am. 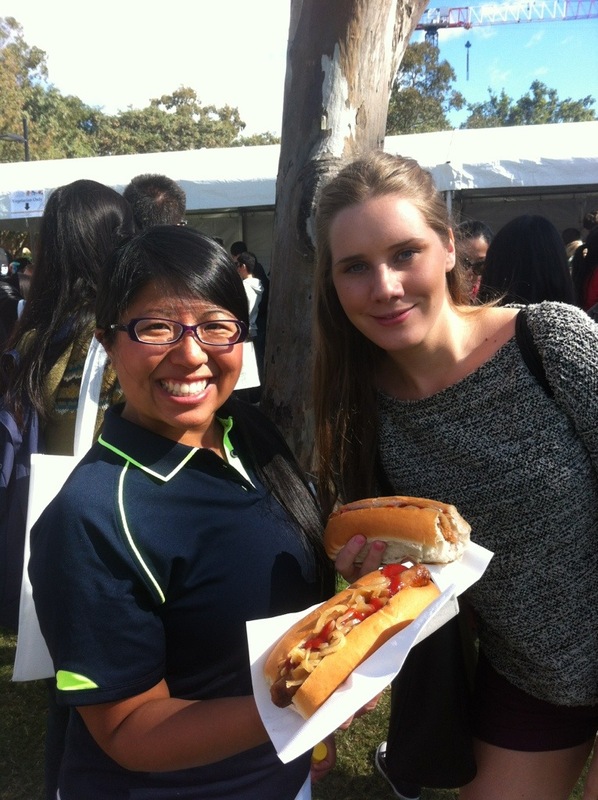 Students were also able to visit information booths such as UQ International and Volunteering QLD. Then, the ceremony commenced at 12pm sharp. So many students listened to the Lord Mayor’s speech and watched a performance from the Nunukul Yuggera Aboriginal Dancers. At the close of the ceremony, a super long queue formed to take a photo with the Lord Mayor. During that rush, a hip hop troupe also preformed for us which was fantastic. I wish they would have had a few more dancing groups on the stage. We continued handing out certificates and bags until we ran out! I was so happy to see so many students attending the ceremony and be engaged. A few Rotary Peace Fellows from the US came by to pick up their certificates. It’s always nice to hand bags out to friendly faces. My friends popped in throughout the day to grab their certificate and have lunch. Even with last minute assignments and upcoming exams, they put this ceremony as a priority! I was so pleased to have their support. Mia came and had lunch with me! We were able to accomplish all our tasks efficiently and figured that we distributed around 1,000 bags to the international students. We knew that more attended and felt bad when students came up to ask for a bags and we had just run out. Then, everyone’s favorite part, the cleaning part was upon us. 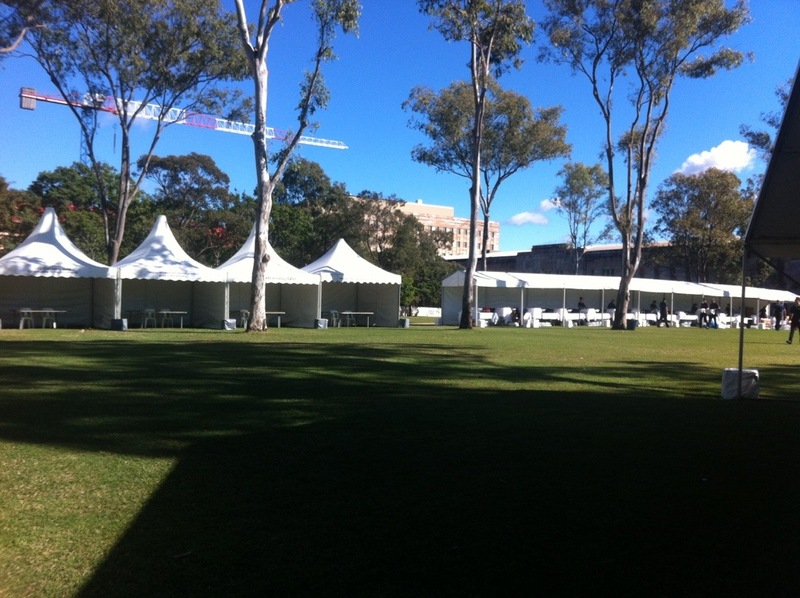 Having my fellow BISAs who don’t attend UQ come support this ceremony meant so much to me. Our group is so special and I really love the dynamics that make up our BISAs. We were so happy to welcome the international students to the friendship ceremony just like when the Lord Mayor welcomed us at our BISA appointment ceremony.